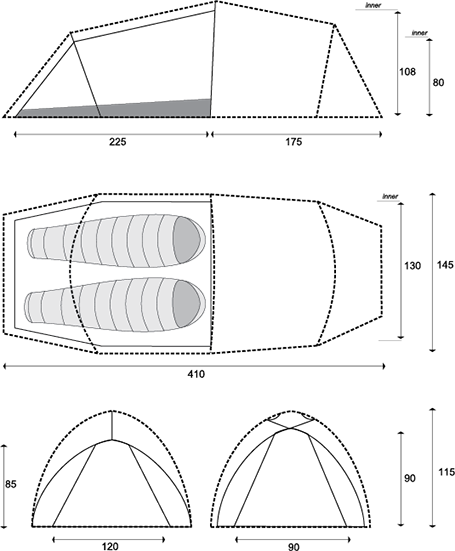 Hyper tents are multi-pitch. 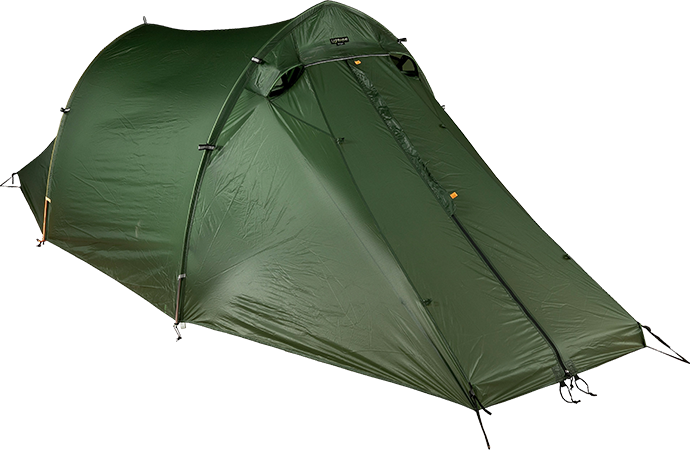 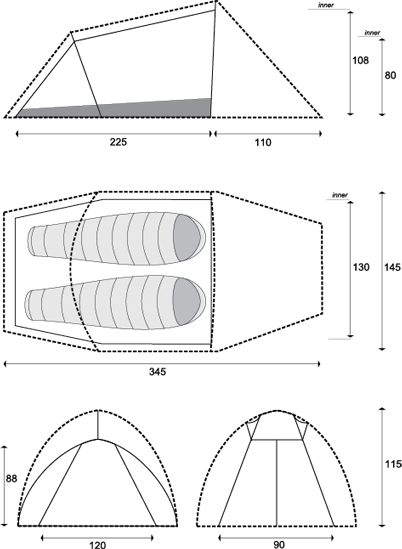 This means they can be pitched flysheet first, inner-tent first, or integrally with the flysheet and inner tent attached together. 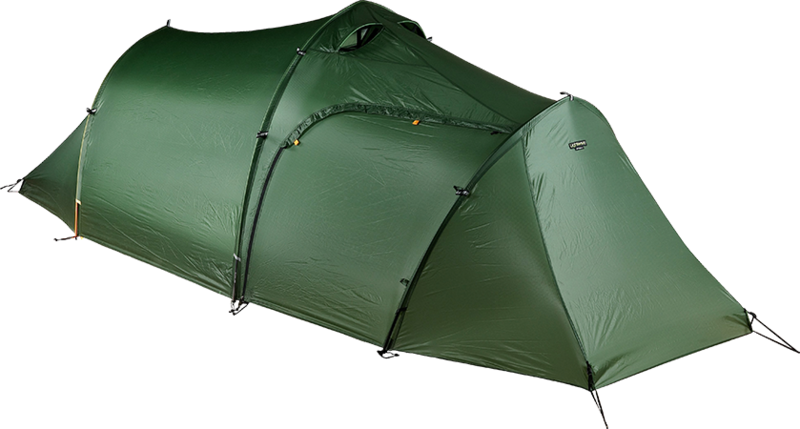 Pitching the hyper tent integrally, with the flysheet and inner tent attached together, is the quickest and easiest method and can be completed within three minutes. 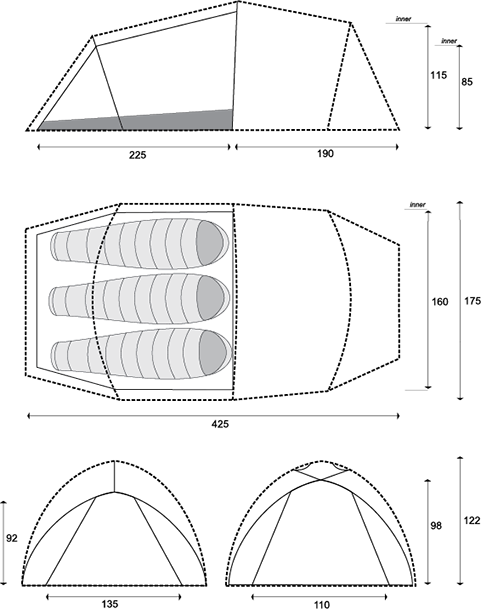 This method is particularly advantageous in very wet weather. 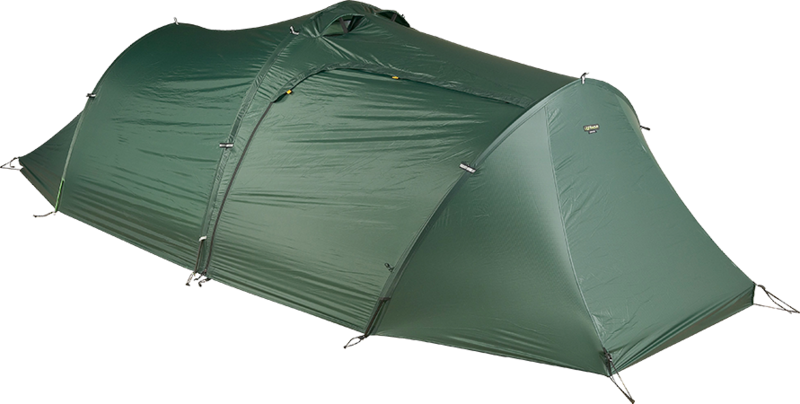 When it comes to dismantling the tent, however, if the flysheet is wet (either from the weather or condensation) we recommend that you detach and fold up the inner separately and then dry off the flysheet (or at the very least, shake off any excess water) before packing it away. 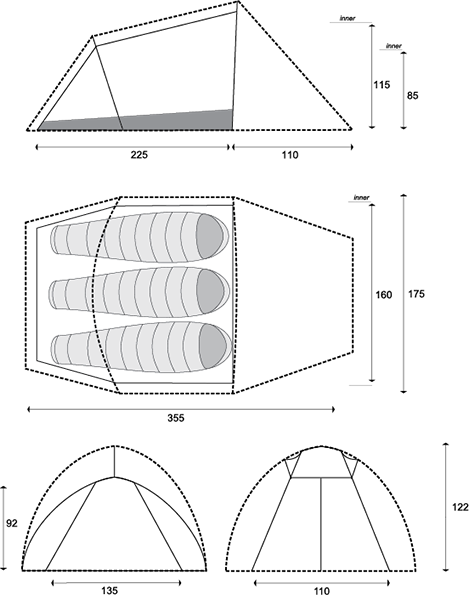 In the case of exceptionally strong winds, pitching the tent inner-first (with the tail into the wind) will give you the strongest structure.